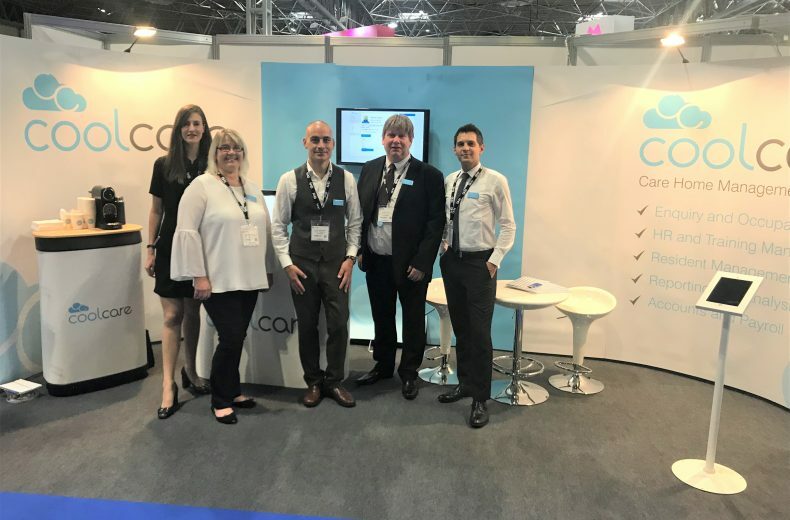 Visitors to the 2017 Care and Dementia Show were eager to catch the first glimpse of CoolCare’s latest care home management product, CoolCare4. Over 2000 people visited the show at Birmingham NEC across two days in October to see the newest innovations in health and social care. CoolCare4 is the latest iteration of two decades of care home management software experience and is the much-anticipated successor of popular CoolCare3. The new software will have the great features that existing customers know and love, with plenty of added extras such as a CRM-style enquiry management system, a new and improved rostering tool and intuitive inputting techniques. Fiona Hale, Commercial Director of LNT Software, said, “CoolCare4 has been refined to focus on our area of speciality, care home management. We have journeyed with our sister companies through every stage of a care home’s development which gives us a unique insight into what working in care is really like. That type of deep understanding within our team breeds a huge passion for our product which was particularly evident during the many demos at the Care Show. The Care Show is held annually at Birmingham NEC and is host to a wide range of care and dementia suppliers with the aim of building a better future for care. This year, as well as catching a preview of CoolCare4, visitors were able to attend thought-provoking seminars, have a game of dementia friendly table tennis, and also take part in the revolutionary Virtual Dementia Tour. CoolCare4 is currently in the final stages of development and will be available to purchase following a thorough testing process. Follow us on Facebook, Twitter or LinkedIn to keep up to date with the latest news, or book your bespoke online demo by contacting Simon Thompson on 07808 187 555.